What does Reel Romance™ have in common with Shark Tank™? What do Reel Romance and Shark Tank have in common? Both shows are Empowering Entertainment with Mentors. Both shows use Social Media: Facebook, Blog, Twitter, Linked In. Both shows use Television and/or Radio. You’re probably familiar with Shark Tank™ . Reel Romance™ has JCT Radio/TV & Multimedia. Both shows have ongoing personalities who act as mentors. Shark Tank™ has the sharks. They might help you – but watch out! They have big appetites and sharp teeth! 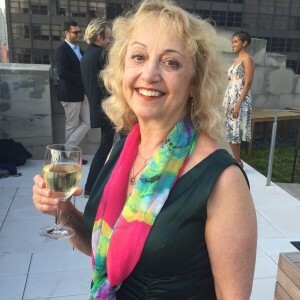 Reel Romance™ has Dr. Sue (Susan Horowitz, Ph.D.): Author/Interviewer of best-selling book “Queens of Comedy” based on her interviews with comedy legends/entrepreneurs like Lucille Ball, Joan Rivers, etc., Professor/Mentor at City University of New York; Award-Winning Writer of “Read With Me” Children’s Book of the Month Club Series, and Comedies, like “Reel Romance with a Twist!” – world premiere at the prestigious New York New Works Theatre Festival in the heart of Broadway! Reel Romance™ and Shark Tank™ appeal to people’s basic aspirations: love and money! 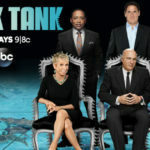 Shark Tank™ is a big shark (lots of money, media support, etc.) swimming in a sea of greed. Reel Romance™ is a happy olive with a heart toothpick, swimming in a sea of love. (Actually, it’s a Reel Romance cocktail or mock-tail (with or without alcohol). Are you asking yourself: What’s In It For Me? (We’re all tuned to station WIIFM) Reel Romance™ cocktail comes with a twist! The unexpected answer to your questions! Post questions about your relationships (romantic & otherwise) and aspirations. You can post anonymously, for other people, or just include initials. As Dr. Sue, I have helped people get scholarships and thousands of dollars by learning to think, write, and speak in terms of their G.O.A.L.S. ! I also encourage them to make positive, reality-based life-choices. No mentor comes with guarantees. But we’ll crowd-source opinions from members of our Reel Romance™ community (plus experts). We’ll do our best to help you help yourself! So, as they say on Shark Tank™ , is it a deal? Reel Romance™ – we’re a Blog, a Show, a Brand!